We are devastated to announce that we have a new orphan. MWF Najada lost her battle after raising her 2017 colt by *Maddox Van Ryad for three months. We are grateful for this little guy and for everything she did for him, but will miss Najada terribly. MWF Najada was our seventh Negatraz progeny. 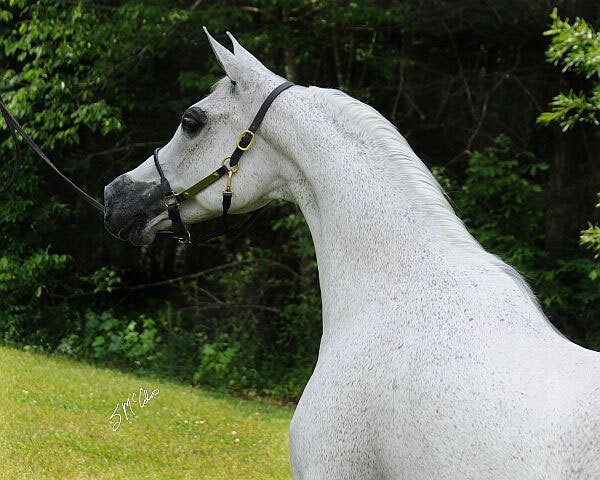 Negatraz was called “A Stallion for All Reasons” – perhaps the best bay pure Polish son of *Bask+++. Najada was born in the same year as our beloved Sequence MF (Negatraz x *Sagana), who we tragically lost. Najada will likely be our last direct Negatraz daughter because, of 563 registered Negatraz progeny, few remain of breeding age. This entry was posted in Mares on March 25, 2015 by Anita Enander.